There are multiple options available for Florida and California customers when it comes to renewing vehicle registrations. The state DMV usually offers an in person, by mail, and online option. Some people though, may be in need of additional services not typically provided directly by the state. eTags, a courier service, provides faster processing and additional benefits. 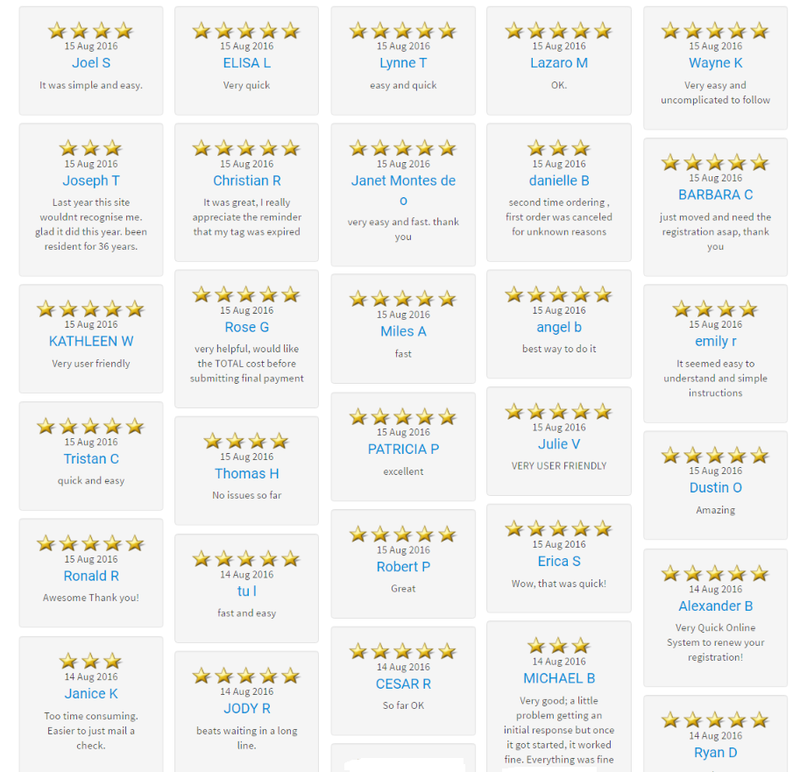 People who have used eTags services can leave reviews about their experience at the time of order and after the product is received. Below are the reviews of a few vehicle owners who choose eTags as an alternate registration renewal option.